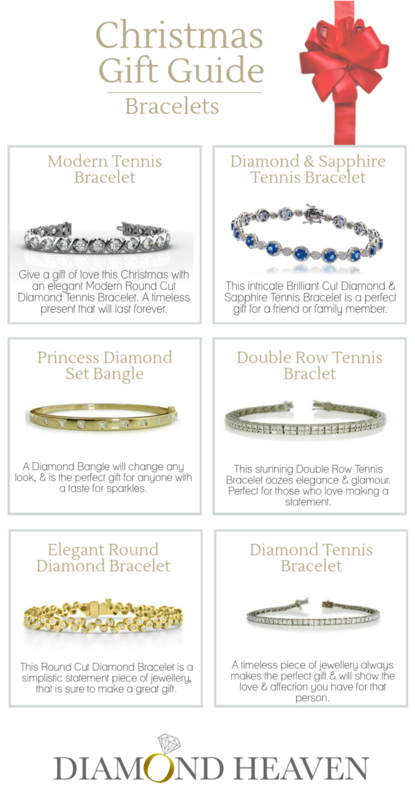 Add a little sparkle to your Christmas gift with a Diamond Bangle or Tennis Bracelet. Christmas is right around the corner, and what better gift to give the special person in your life than a stunning Diamond Bracelet, Diamond Bangle or Tennis Bracelet. Our Bracelet range comes in a variety of different metals, diamond shapes and styles; so there's a design for everyone.